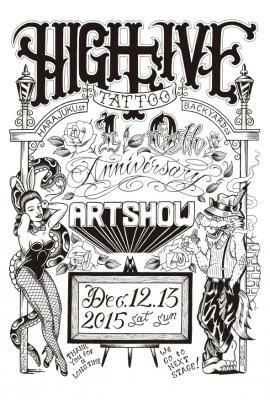 Celebrating our commemorative 10thanniversary, High Five Tattoo would like to announce the opening of a very special art show on December 12th (Sat) and 13th (Sun). 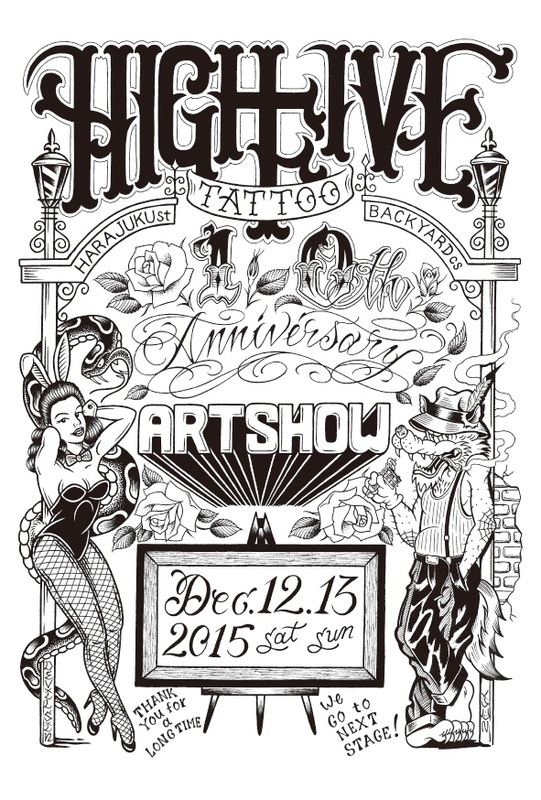 While High Five Tattoo studio will close down at the end of December, due to the building’s reconstruction, we’d like to welcome you all to the show with our deep feelings of gratitude. The art show will feature many of our international friends’ fabulous artworks. The show is absolutely free, and you are all invited! During the two-day event, artists with ★marks will perform an exclusive live tattooing for the price of 10,000 yen (single fist size only). *Appointment only. Please make your reservation before the event. 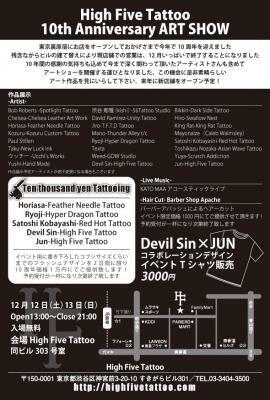 Also during the show, barber shop, Apache will do all haircuts for only 1000 yen. This special event T-shirt is only available during the show (3,000 yen).